If you store a lot of your stuff in boxes, locating what you need can be a hassle. It can get pretty tiring to sort through all of your boxes to find the particular item you are looking for. We found this cute solution to the problem. Have a look. Take photos of the stored object, print it and paste it on the box outside. So easy and convenient! And the end effect is beautiful to say the least. Of all the ways to label storage boxes, we like this the best. This is one storage tip that we are going to keep carefully. 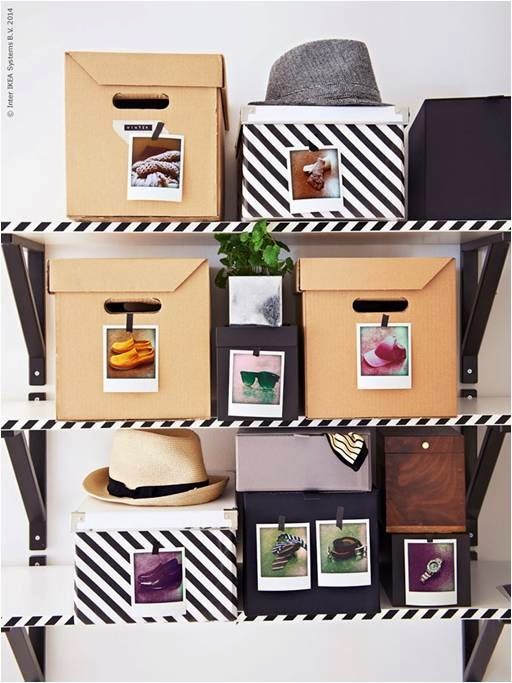 We’re saying goodbye to rummaging through storage boxes with this adorable solution. What about you? Order storage boxes from the The Box, the most customer-oriented Relocation Services Company in Dubai. Check out our website for our Great Value Storage Packages and make bumper savings.